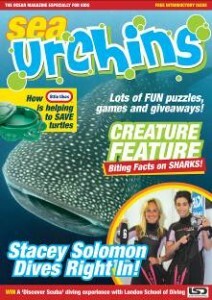 Published on: July, 06 2011 by Bob Egelko, San Francisco Chronicle – Leatherback sea turtles gain critical habitat. The Obama administration agreed Tuesday to protect an area of Pacific coastal waters by November as critical habitat for the endangered leatherback sea turtle, settling a lawsuit by conservation groups. The National Marine Fisheries Service had settled an earlier suit by proposing in January 2010 to designate 70,600 square miles of waters off California, Oregon and Washington as a refuge for the huge migrating reptiles and the jellyfish they eat. The California zone would extend from Point Vicente in Los Angeles County to Point Arena in Mendocino County. The Center for Biological Diversity and other conservation advocates accused the government in a lawsuit filed in April of ignoring a January 2011 deadline under the earlier settlement for a final designation of critical habitat. The agency has not said whether it plans to change the proposed boundaries in the plan that is now due by Nov. 15. “We believe the critical habitat as proposed is inadequate,” said Teri Shore, program director of Turtle Island Restoration Network, another plaintiff in the suit. 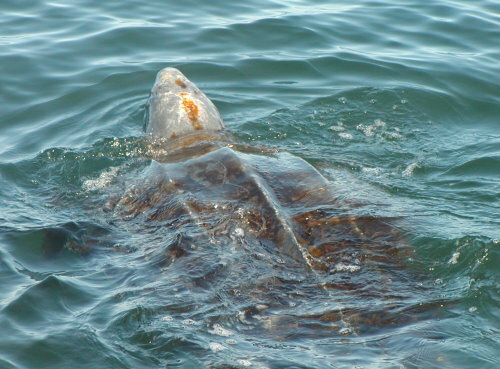 Although the zone is a step toward preserving the leatherbacks, she said, it should cover a broader area off the California coast where drift gillnet fishing, a threat to the turtles, is now banned from mid-August to mid-November. The federal agency has also heard from Pacific Gas & Electric Co., which urged flexibility in the rules to avoid a potential multibillion-dollar cost of a new water-cooling system for the Diablo Canyon nuclear power plant on the San Luis Obispo County coast. After the government designates critical habitat for an endangered species, sponsors of all projects affecting the zone must consult with the National Marine Fisheries Service and take any needed protective measures. Leatherbacks are the largest sea turtles, growing up to 8 feet long and weighing as much as a ton. They also have the longest migration, 12,000 miles each summer and fall from nesting grounds in Indonesia to the West Coast of the United States. They were placed on the endangered species list in 1970, but their numbers have continued to fall because of pollution and accidental deaths caused by commercial fishing, according to government reports. Conservation groups said the Pacific population has plunged by more than 95 percent since 1980. Environmental groups are pushing the California Legislature to ban the sale and possession of shark fins, causing an emotional split among Chinese Americans for whom shark fin soup is a traditional delicacy. The bill passed the Assembly last month, but is running into trouble in the Senate. The fight has pitted influential Chinese American politicians against one another, some of whom are running for mayor of San Francisco. Chinese traders and restaurant owners have hired lobbyists to oppose a ban, and busloads of Chinatown residents have descended on the Capitol, saying that a ban would violate cultural custom. Houston Rockets basketball star Yao Ming has joined other celebrities, such as Leonardo DiCaprio and Scarlett Johansson, in public support of a ban. “Remember, when the buying stops, the killing can too,” says Ming, in a YouTube video that shows him pushing away a bowl of soup. 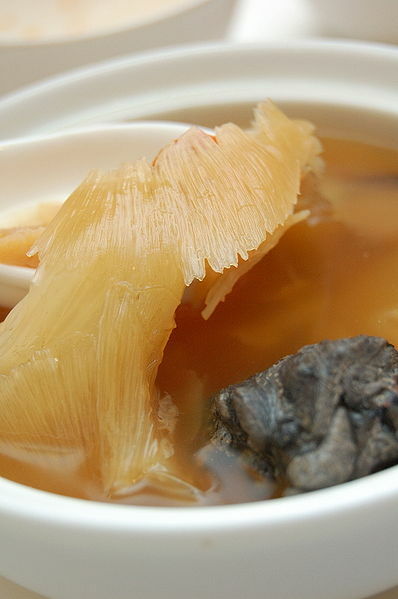 Shark fin soup, which can cost as much as $80 a serving in restaurants, has been a Chinese delicacy for hundreds of years and often is served at weddings and banquets. It is a status symbol, considered to have medicinal properties, and its defenders see its consumption as a fundamental cultural right. Scientists say the fin trade has contributed to the catastrophic declines of shark populations worldwide, threatening to disrupt ocean ecosystems and encouraging the proliferation of other predators, which diminishes stocks of fish for human consumption. Fishermen cut the fins from landed sharks and dump them back in the sea, often still alive. Sen. Leland Yee (D-San Francisco) and Sen. Ted Lieu (D-Torrance) have proposed amendments to allow the sale of fins from sharks that are legally fished in California waters and the importation of fins that can be certified as having been sustainably harvested. Thursday, before a packed hearing room, the bill passed the Senate Natural Resources & Water Committee but only after Fong agreed to work with opponents to amend the bill before it goes before the Senate Appropriations Committee. It is not expected to reach the full Senate before August. A compromise may be difficult to defend and enforce. Jennifer Fearing, state director of the Humane Society of the United States, said banning the sale of imported fins while allowing the sale of California fins would violate international trade rules. Moreover, she said, “The minute you allow some fins and not all fins, there’s no way it can be enforced” because the financial incentive is high. Animal rights groups, arguing that finning is an inhumane practice, have joined with the Monterey Bay Aquarium, the California Academy of Sciences and environmental groups to lobby for a ban. Hawaii and Washington state have passed shark fin bans, and President Obama earlier this year signed federal legislation tightening a ban on shark finning in U.S. waters.